Best suited to a 3 – 4 bedroom house move and larger office moves. You will be able to get everything packed and moved in one trip with these large trucks. 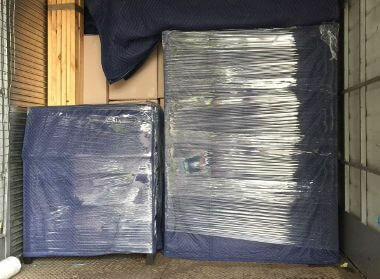 For cost efficiency, we try to get everything packed and ready to unpack at the destination in one trip to save you both money and time. 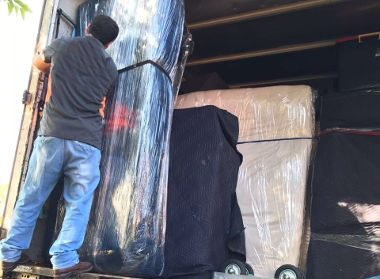 First Removalists large sized trucks are between 40-50m³ recommended for moves up to three bedrooms. Our 4 professional movers and a large truck package is suitable for office moves with up to 20 staff. 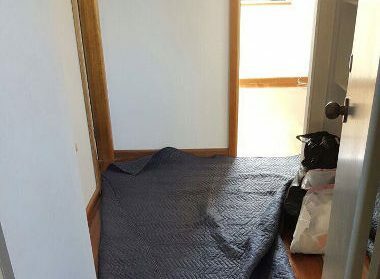 With our large truck and two removalists we guarantee 3-4 bedroom basic moves in one load unless there are undeclared extra items in garage/ garden/ balcony. 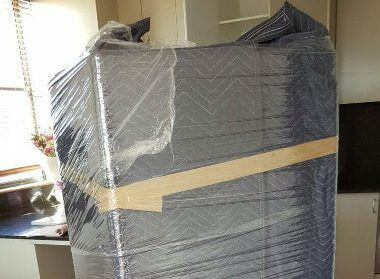 With the assistance of one of our professionally trained removalists and a 8 tonne truck, we will make things a lot easier for you, taking no time to get you settled into your new house. 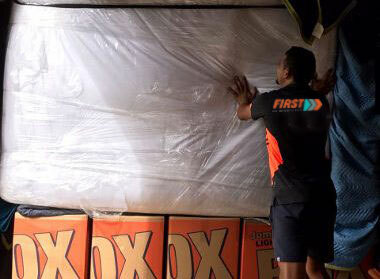 First Removalists will take care of everything including the price, having one of the fairest rates around. 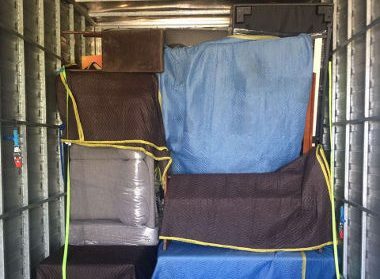 Our large truck package comes with 4 men and a truck with removal blankets to insure safe transit of your valuable possessions. Our four strong removalists are friendly and always happy to assist any special requests from our customers. In a nutshell THERE ARE NO HIDDEN CHARGES. Many of our competitors advertise low rates while loading up the final bill with many extra charges including back to base charge, fuel levies, kilometer levies, stair levies and anything else they can think of.